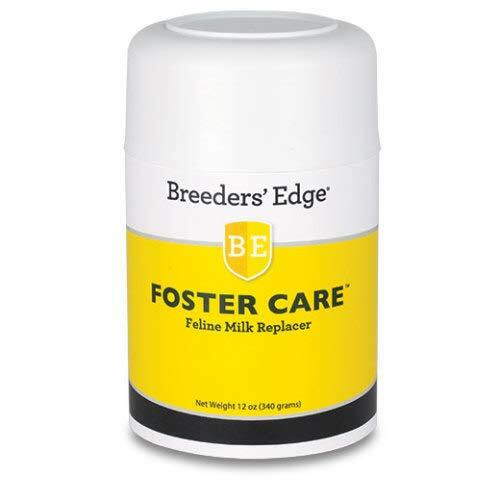 Breeders' Edge Foster Care Feline Milk Replacer is a nutritionally balanced milk replacer that gives your kittens the support they need when the queen's milk is not enough. Contains all the essential amino acids necessary to help with tissue growth, repair and maintenance. The lower levels of lactose make it easy to tolerate, reducing GI irritation, diarrhea and vomiting. Contains increased levels of carbohydrates, fats, proteins and energy to meet the nutritional needs of rejected, orphaned or fading kittens. Very palatable with low viscosity, making it ideal for feeding tube application. Not intended for use in exotic animals. If you have any questions about this product by Revival Animal Health, contact us by completing and submitting the form below. If you are looking for a specif part number, please include it with your message.